Big Up Todd Edwards. Love this one, such a sunny predisposition as with so many of Todd's efforts. 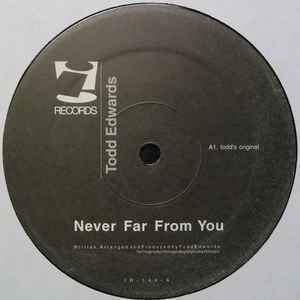 Its all about the original mix, Todd's sliced up some vocals from a song I probably wouldnt even recognise as Never Far From You and turned them into something wonderful. Lyrics are failry indecipherable but sound great against the Todd's bumpy beats. The man has a style and even if you find some of his offering less than inspiring when he hits you know about.